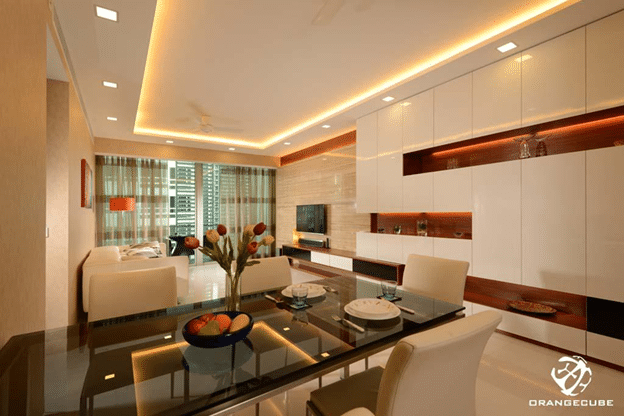 An attractively decorated and well-appointed home is the vision of everyone but to beautify a home is an art and a real decorated and well-furnished home is an attainment of a woman. 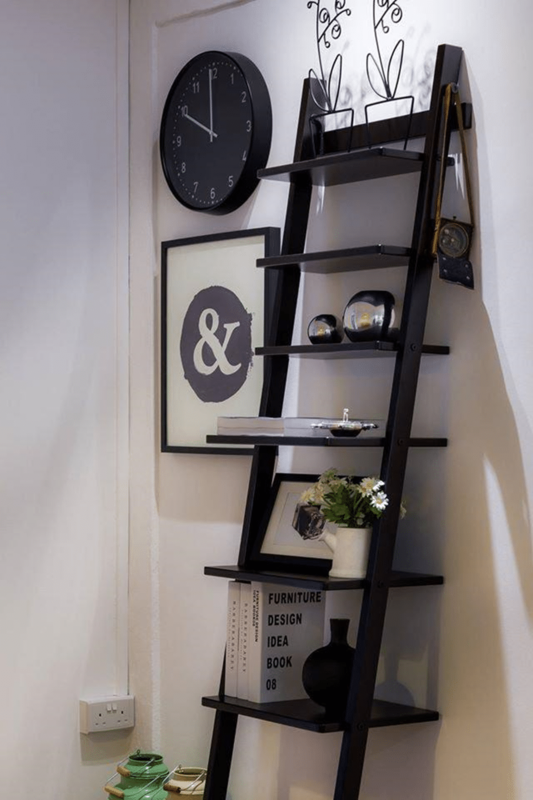 Beautifully display of decorative pieces at unique and innovative shelves can bring a great blink to any home. 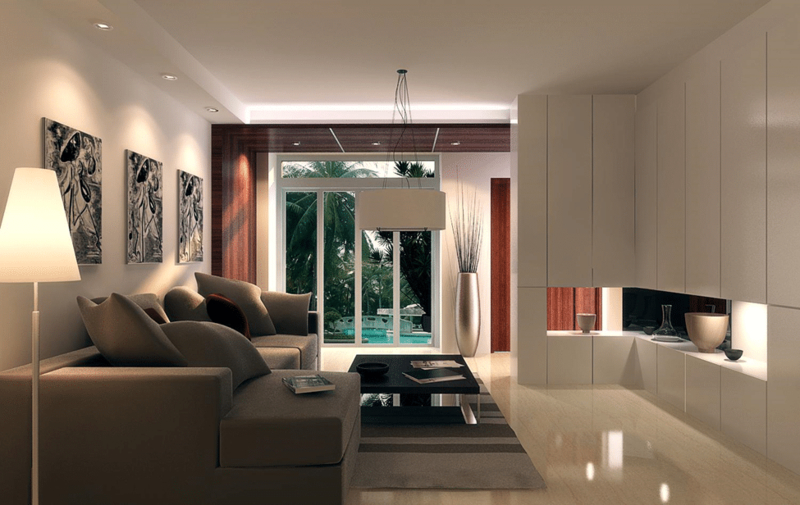 Here at Renopedia, Singapore's No.1 online Interior design unique display of accent pieces that can add sparkle and attractive focal point to any home, designed by our highly qualified interior designers. The unique wood stair style shelves as shown in the above picture designed by Icon Interior beautifully displayed the different decorative pieces such as floral vases, decorative books and crystal pots. 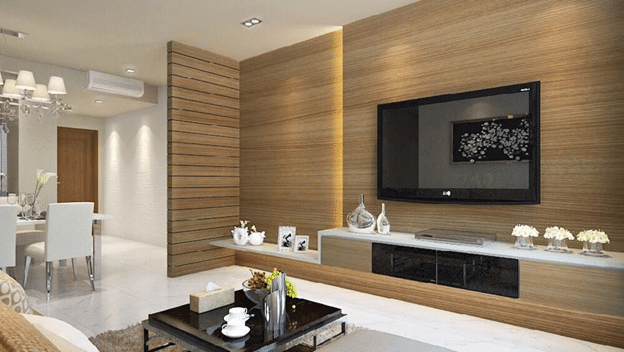 Another unique way to display decorative accents is hideable shelves as shown in the above picture designed by icon interior, such unique wood panel can hide the TV-unit to display the decorative accents. 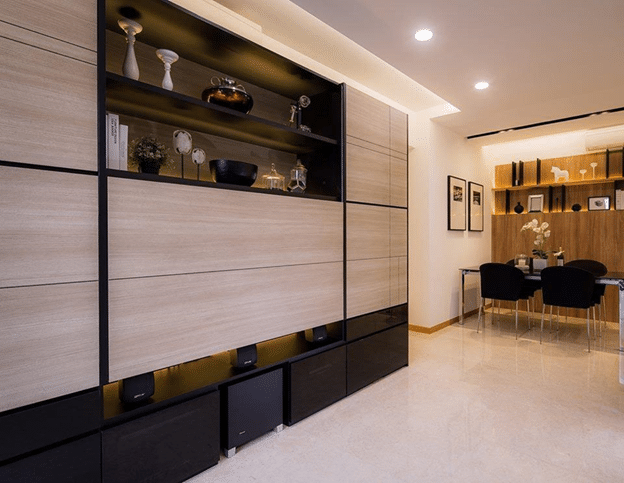 An innovative marble tile wall with stylish shelves can best use to display the beautiful crystal pots and other beautiful accents as shown in the above picture designed by Orange cube. 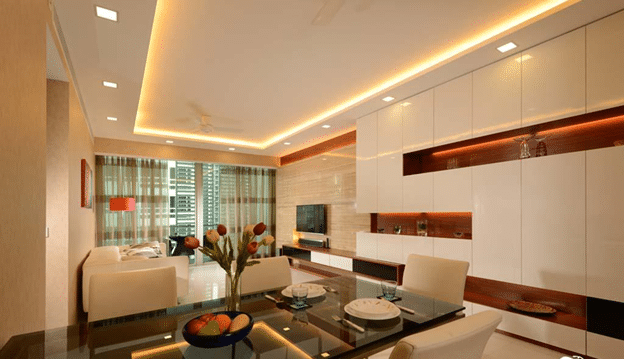 Consider such beautiful display for your home. 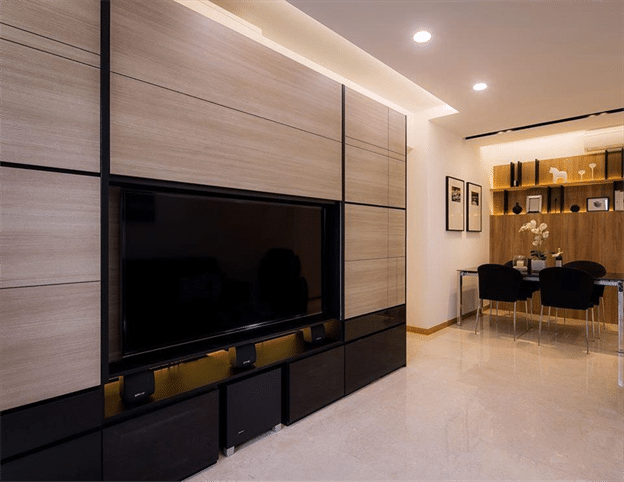 The beautiful showcase of different attractive crystal accents and small family frames at the TV-Unit shelves shown in the above picture designed by Rezt n Relax can bring a sophisticated appeal to the room. The attractive and beautiful display of different stylish and delicate vases at small unique shelves makes this room shown in the above picture designed by Mills Design and Associates flawlessly delicate and sophisticated.